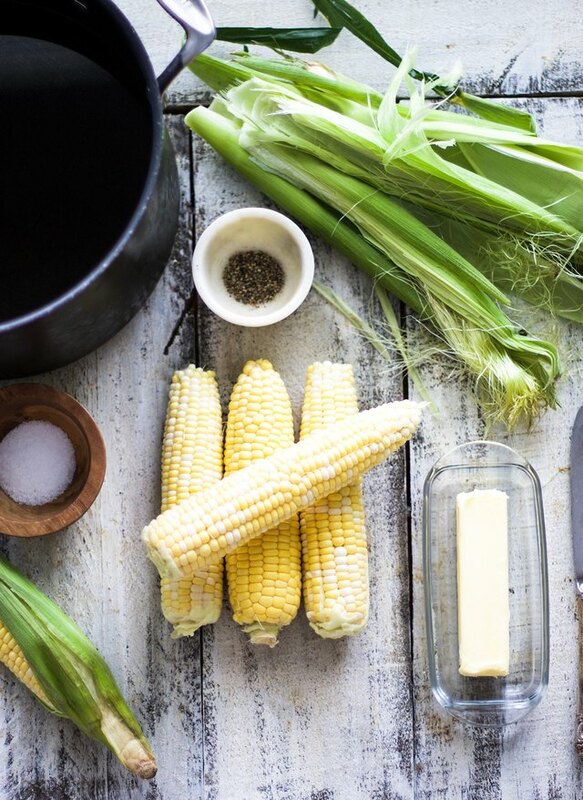 All of the food I love comes into season in the summer, and corn happens to be at the top of that list. 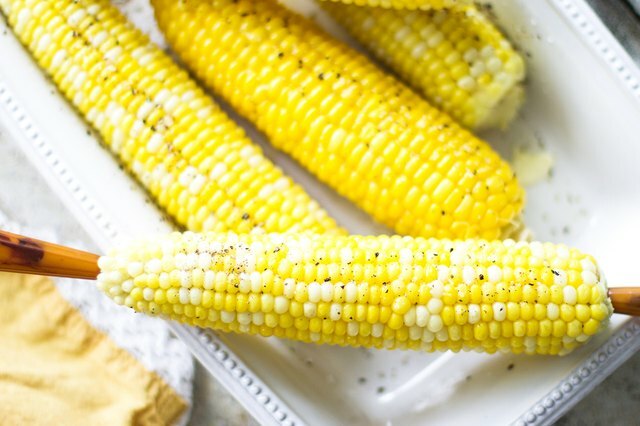 I love any corn dish to be honest, but corn on the cob holds a special place in my heart: I like it grilled, roasted, raw (yep, even raw), and boiled. Boiling corn is one of the simplest ways to prepare it without losing any of its natural flavor, and my no-fail method will give you juicy, perfectly cooked corn on the cob every time. Remove the husks and silks from the corn and rinse. Bring 8 cups of water to a boil and add 1/2 tablespoon of salt. Add corn on the cob to boiling water and boil for 10 minutes until corn is just tender. Remove the corn on the cob from the water, immediately spread butter on top, and sprinkle with the other 1/2 tablespoon of salt and cracked pepper. Serve immediately. This recipe is fool-proof and you will love knowing that you can have delicious corn on the cob all summer long without any fuss! Why Is My Boiled Corn Chewy?